Great infographic – just a small portion of it above. To see the full thing, follow the link below. 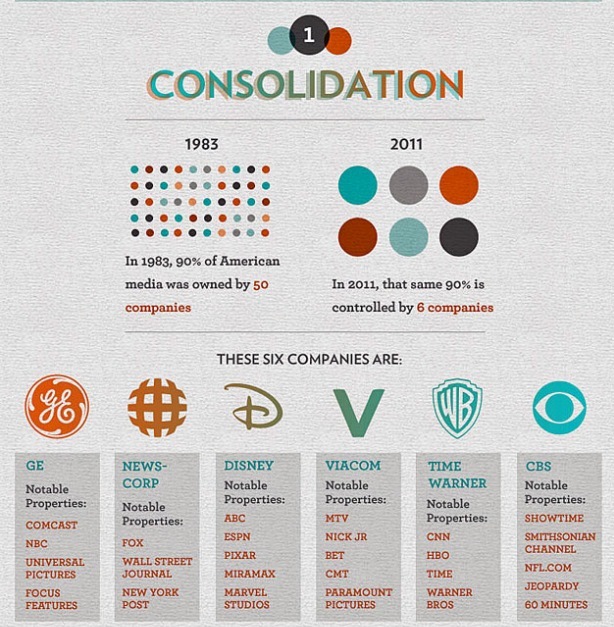 via These 6 Corporations Control 90% Of The Media In America | Business Insider Australia.